TaiwaneseAmerican.org has always been proud to support and represent not only the Taiwanese community, but also the greater Asian American community. With the groundbreaking success of last season’s Fresh Off the Boat, we’re particularly excited for Dr. Ken, a new family sitcom based on the real life of physician-turned-actor Ken Jeong. 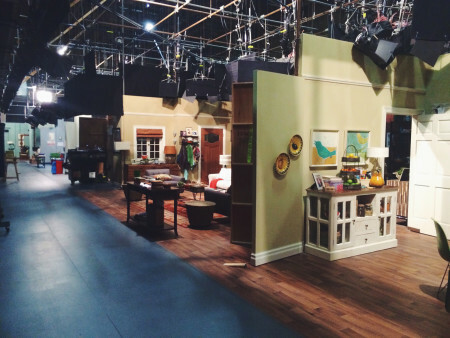 Recently, I had the privilege of being invited along with fellow bloggers and writers to meet with the cast of Dr. Ken during rehearsals at Sony Pictures Studios in Los Angeles, CA. I was rushing on set because I was running late (thanks a lot, LA traffic), but Ken was the first to warmly introduce himself and immediately put me at ease. I’ve been a huge Ken Jeong fan ever since he appeared in Knocked Up, Community, and The Hangover, and it was inspiring to hear him talk about all the passion and work that has gone into producing, writing, and acting in the show to ensure that it’s, as he puts it, “on fleek”. 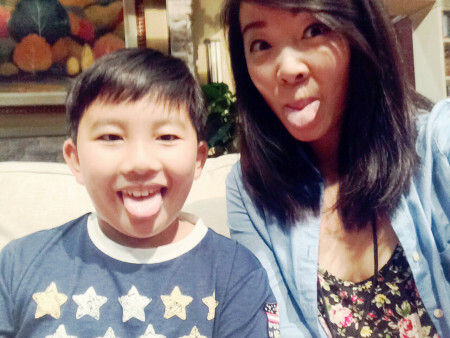 I was also excited to meet Albert Tsai, the 11-year old Taiwanese American actor playing Ken’s son. I remember first noticing Albert when he starred in ABC’s Trophy Wife, and then more recently laughing over his hilarious cameo in Fresh Off the Boat as Phillip Goldstein. Albert grew up in San Jose, CA, the only child of two hard-working Taiwanese parents who both come from engineering backgrounds and currently still work for Taiwanese semiconductor companies in Silicon Valley. At the age of 7, Albert performed in a school play and realized he had a talent and interest for acting. His natural comedic timing puts my lame jokes and puns to shame: as his mom recounts, Albert was the class clown/“kai xin guo” (literally means “happy fruit”), because he was always making his teachers and friends laugh. His parents were incredibly supportive of his newfound passion, and as soon as he landed his pivotal role in Trophy Wife, the entire family resolved to make it work. 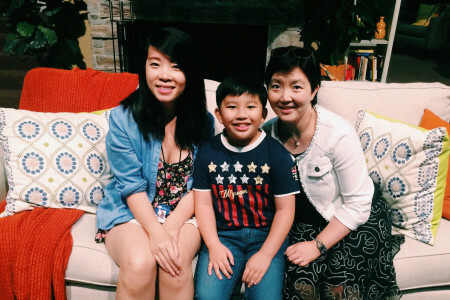 Albert’s mom and dad continue to take turns spending time with him in Los Angeles as he tapes his show, while they also juggle their respective work and travel schedules, going from San Jose to Los Angeles and to Taiwan and China. With Fresh Off the Boat and now Dr. Ken, it is awesome and encouraging that there are more Asian Americans in national mainstream media, and that we are able to tell the unique stories of our communities in our own way. A few weeks after my initial visit, I was invited back to the lot to watch a live taping of Dr. Ken. There was considerable excitement and buzz in the air, because the legendary Margaret Cho was in the house, guest-starring as Ken’s sister. As the taping began, it was truly surreal to watch Albert, Ken, Suzy Nakamura, Krista Marie Yu, and the rest of the cast and crew seamlessly bring the script and the set to life. And upon hearing the roaring laughter of the live audience after each joke and scene, I couldn’t help but think about how far our community has really come. Most importantly, there are now more opportunities for the next generation of Asian Americans to envision careers for themselves that I myself could never have imagined growing up. At the rate in which Asian Americans are starring in television shows, the next Hollywood Rat Pack might very well consist of Albert Tsai, Aubrey Anderson-Emmons of Modern Family, and Hudson Yang, Ian Chen, and Forrest Wheeler of Fresh Off the Boat. I mean, how COOL would that be?! One thing’s for sure: with the vision and guidance of veteran actors like Ken Jeong and network executives like ABC’s Samie Falvey, as well as the unconditional support of parents, friends, and communities, the future certainly looks bright for Asian America in entertainment and media. The best is yet to come. Dr. Ken premieres Friday, October 2nd at 8:30/7:30c on ABC. For TaiwaneseAmerican.org followers in Los Angeles, you can still attend the fun live tapings as part of the live audience. Free tickets are available at http://www.tvtickets.com/fmi/shows/browserecord.php?&Show=ken.